Hi there! I'm Jenna, accidentally got my iPhone locked permanently when it was in my pocket. Now, I'm wondering if there's a way out to get notes out of my locked iPhone? Any help is greatly appreciated, thanks! Hello Jenna, thank you for reaching out and we can understand that you must be very anxious right now.We're here to introduce some possible ways to get notes out of your locked iPhone. So, let's get started now. Retrieving notes out of locked iPhone can be done in a couple of ways which we are going to discover in the later part of the article. But now, in this first section we're going to discuss about how to get notes directly out of a locked iPhone. For this, you have to make use of iTunes software on your computer. Note: This method works conditionally. Please ensure to connect your device only to a trusted computer, which means on which you previously synced your device with iTunes. For some devices, this method may not work. You can just have a test to see if there is the option for you to back up your iPhone or not when it is connected to iTunes. Step 1 - Launch iTunes on your PC. Now, get your iPhone plugged into your PC using a genuine lightning cable. Step 2 - Click on the iPhone icon available on the top left and see if the 'Back Up Now' button is available under the 'Summary' page. If yes, then hit on it and wait for the backup to complete. On completion you will have an iTunes backup containing all your notes stored on your iPhone. You can restore it to your iPhone after you reset your locked iPhone. 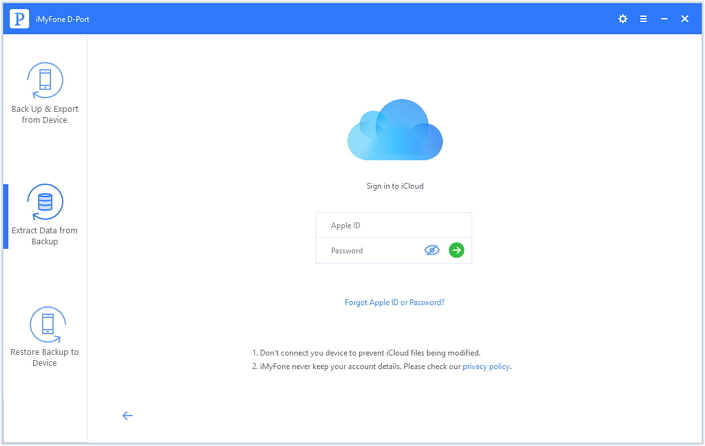 Step 1 - Head to the official 'iCloud.com' website and login to your iCloud account using your 'Apple ID' credentials. Step 2 - Now, you need to select the 'Notes' icon from the iCloud's launchpad screen. You'll now be brought to 'iCloud Notes'. This is where all your iPhone's notes are synced to. 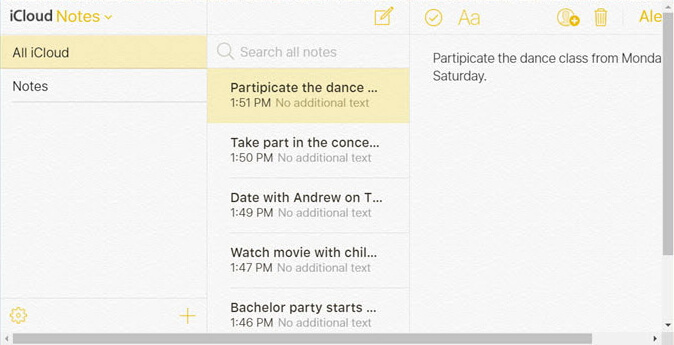 Step 3 - If you can see your notes on 'iCloud Notes' screen, then Congratulations! You now need to simply copy and paste each of your notes over iCloud to your computer one by one. That's about it. You have now successfully retrieved notes out of locked iPhone using your iCloud account. Note: If you aren't able to find any of your locked iPhone's notes over your iCloud account, then don't feel dejected. We're not done yet. We still have got another way for you. Read the next solution to get notes out of a locked iPhone using an iTunes or iCloud backup. It could be a case that your notes on your locked iPhone have been backed up to your computer using iTunes or your auto iCloud backup has contained your notes. 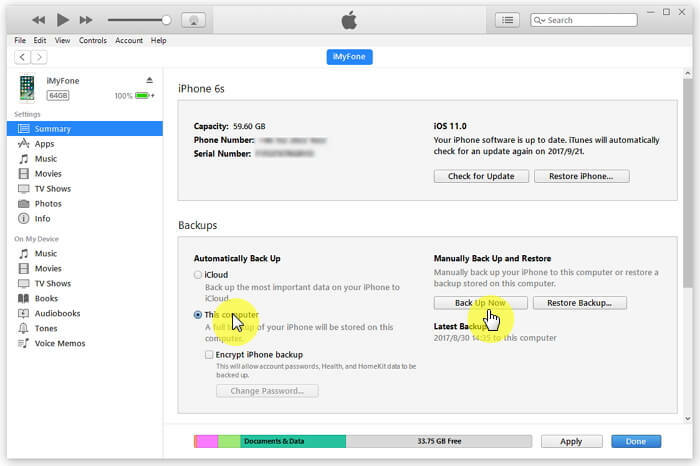 How to get notes out of a locked iPhone's iCloud backup or iTunes backup? 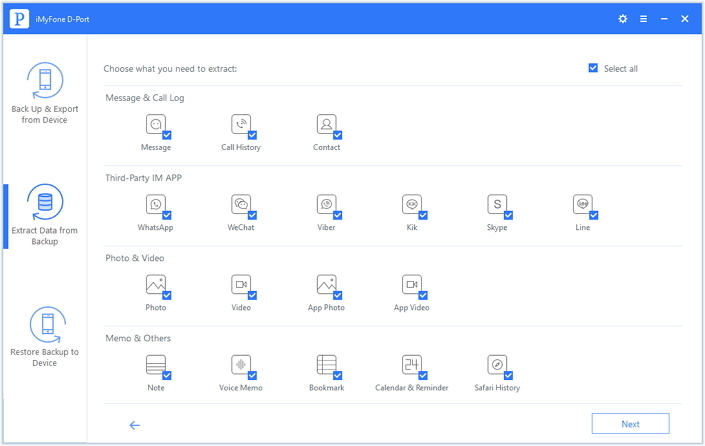 You can seek the help of a powerful tool, iMyFon D-Port, which can help you to extract not only the notes but also the other 18+ types of data including contacts, photos, WhatsApp, WeChat, Kik, Line, Viber and more out of your locked iCloud/iTunes backup or your iPhone/iPad/iPod touch, and make them readily accessible for your further use. Let's now learn how to get notes out of an iCloud/iTunes backup. Step 1 – First, download the iMyFone D-Port software from the official website and then install it over your PC. Now, launch it and select the 'Extract Data from Backup' tab from the left menu panel. Step 2 – You'll then see a list of backups that you may have made on your PC. 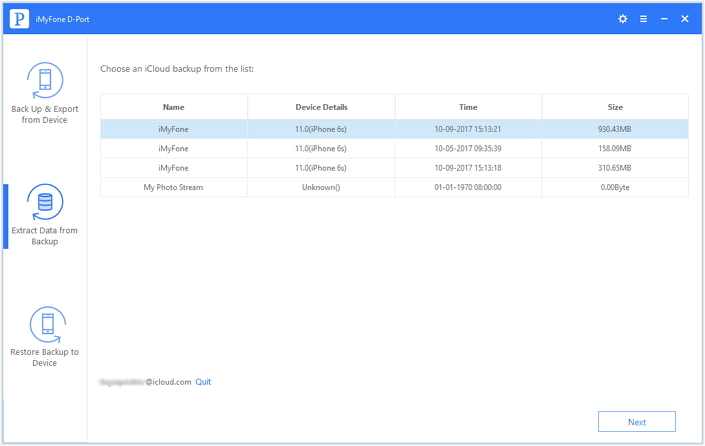 You are unable to locate your iCloud backup file on the list if you never download iCloud backup on your computer. You need to download it from your iCloud account. For this, tap the 'Download iCloud Backup' link available at the bottom of the page and then sign in to your iCloud account using your Apple ID credentials. Note: If you wish to extract data from iTunes ackup instead, simply select the desired iTunes backup file from the list provided and hit on 'Next'. Then proceed to the step 4. 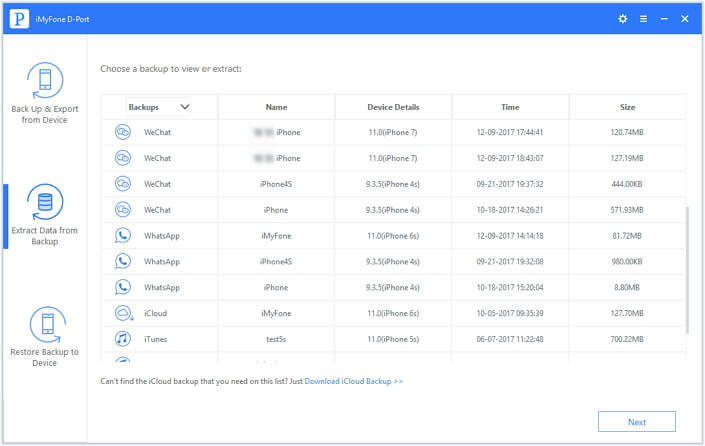 Step 3 – Now, the software will automatically detect the iCloud backup files over your iCloud account, then select the preferred one and hit on 'Next'. Step 4 – On the next upcoming screen, you'll now be asked to select the data types that you wish to extract from the backup file. Ensure to select 'Note' under 'Memo & Others' section and hit on 'Next'. 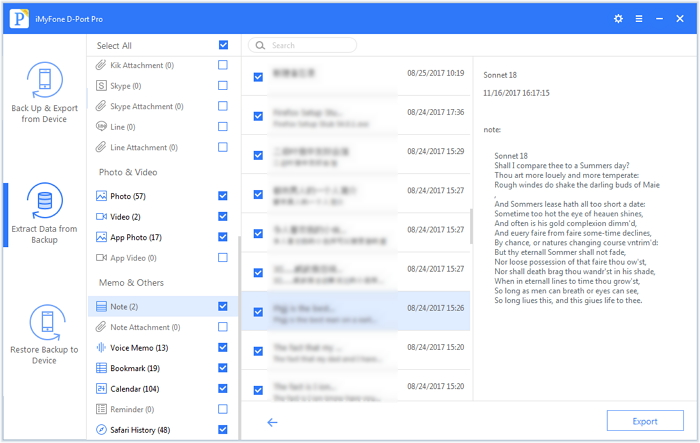 Step 5 – Lastly, the software will scan your backup file and bring you the notes contained in the backup file for your preview. Select the notes that you wish to retrieve and then hit on 'Extract' button. That's it! You now have successfully get notes out of locked iPhone's iCloud/iTunes backup file.